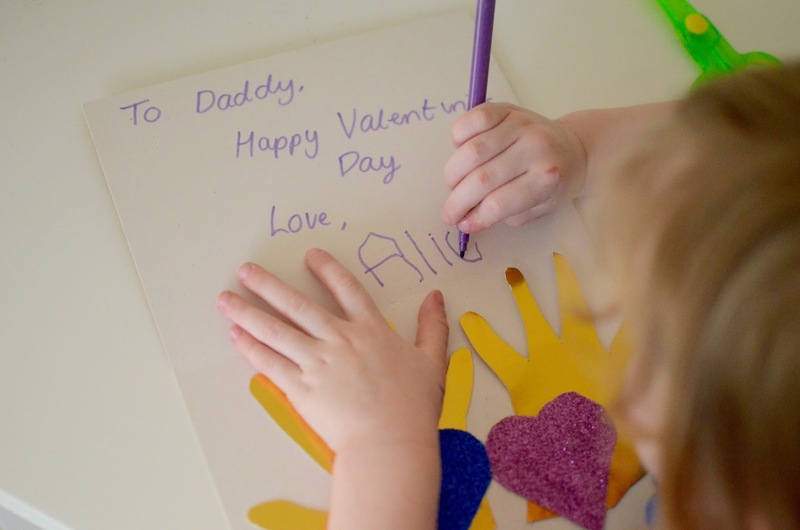 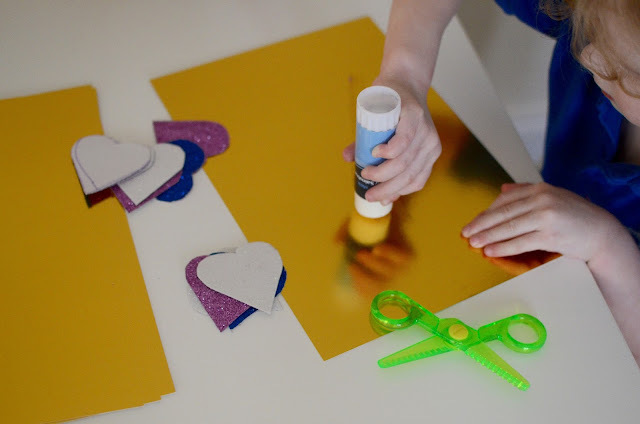 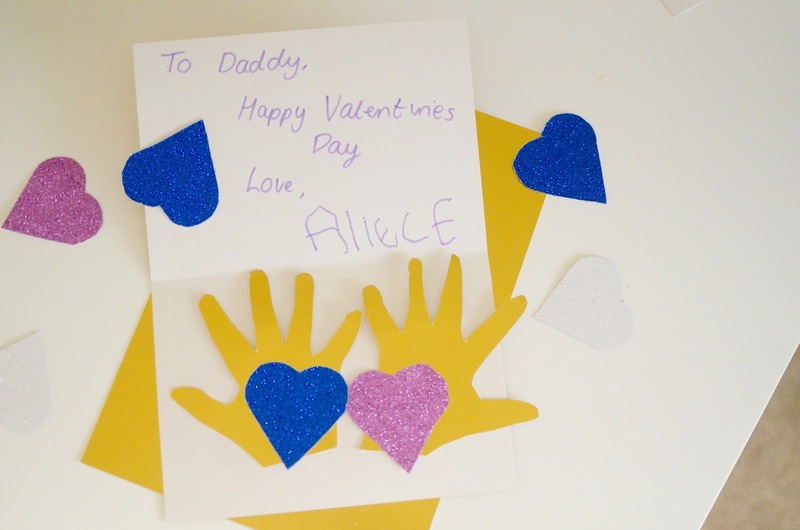 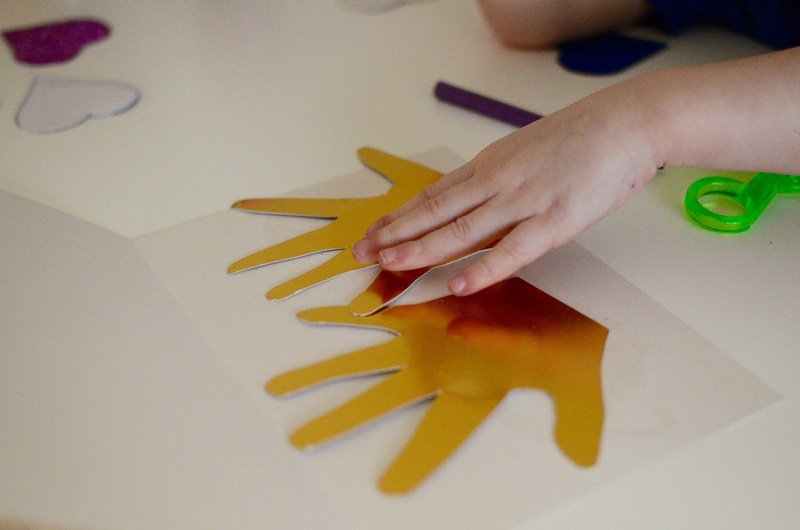 How about this super simple craft idea to do with your children for Valentines Day? 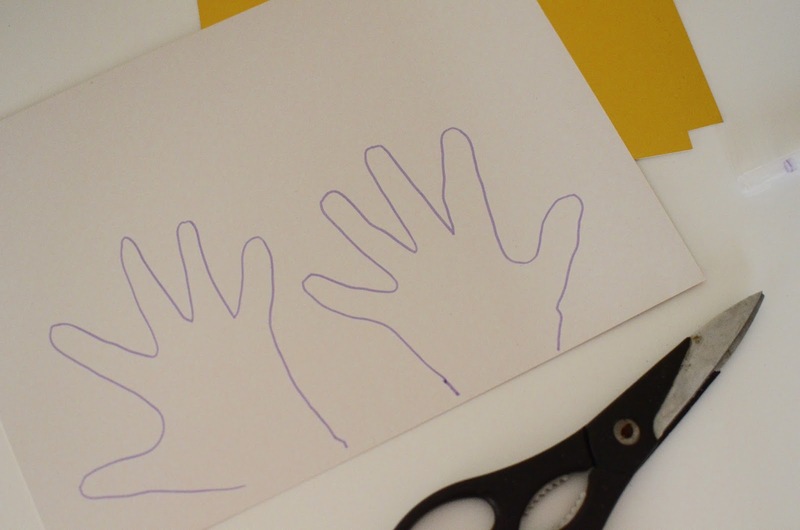 Its a heart/hand card! 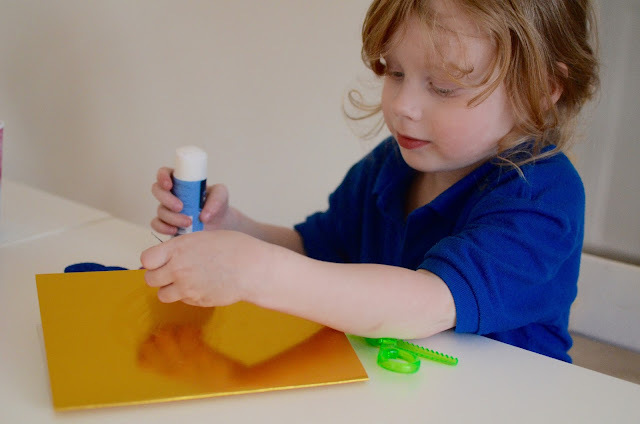 Alice had great fun sticking all the its together, and writing her name. 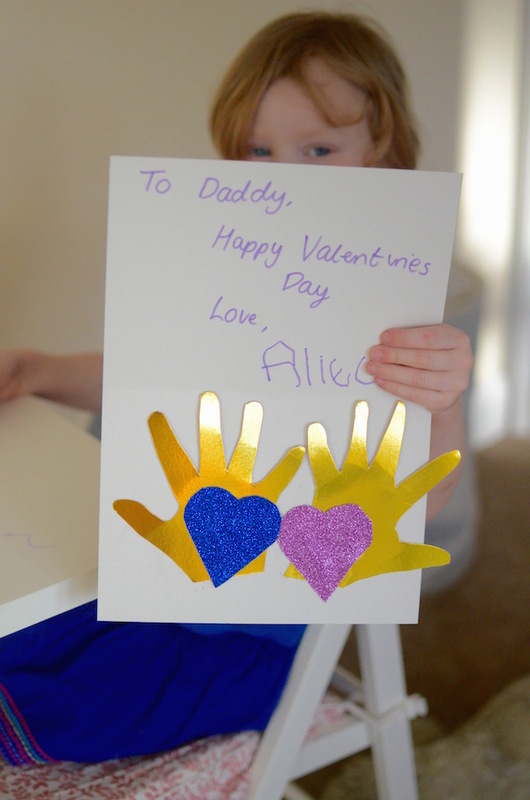 It's a lovely, very simple card, but I hope it will be a brilliant keep sake for us to look back on.